More than 650 million people worldwide are living without access to clean water and sanitation possibilities. Everyday people die because of undernutrition and several diseases (such as diarrhea or intestinal worms) caused by unsafe and inadequate water. Water becomes the most contested and precious essential resource. Therefore Svizera Europe developed a new line of products which contribute to a better society and environment and provide a solution to this worldwide problem. www.svizera-wash.org you can find more information about our Water Solutions. For example the clever & clean solution kit. 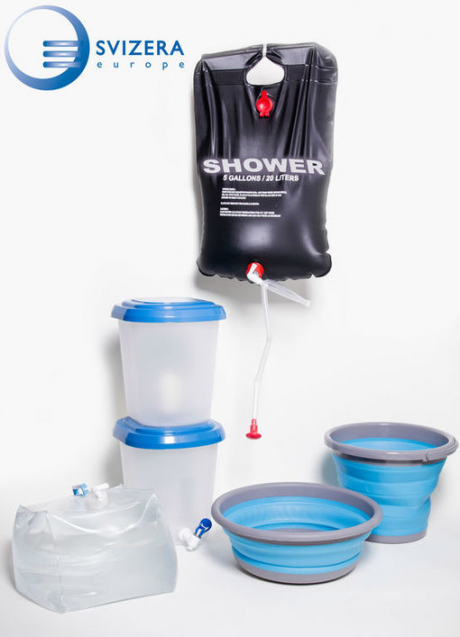 With the clever water solution kit and the clever & clean water solution kit you have the opportunity to provide people in an easy way with clean water and sanitation possibilities. the products in the kits are foldable and compact so you can take them with you anywhere you go. Our Product Managers Peter and Casper looking forward to provide you with more information about these kits and its potentials.